After Rabaul was devastated by a volcanic erruption, it was determined that it was just too risky to attempt rebuilding at Rabaul. 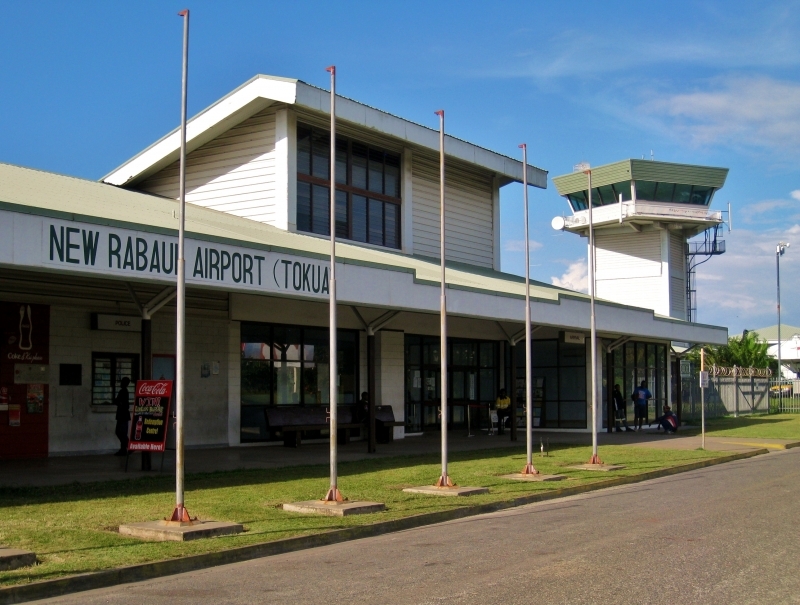 The Japanese Government offered aid money to rebuild the runways and provide all new buildings at the nearby town of Tokua. The new buildings included an air terminal, offices, workshops and tower. The air terminal building was designed to rely solely on natural ventilation. Due to its remote location it had to have all its own site water, power generator and environmentally sensitive sewerage treatment system.